Do you ever want to drive down the street in your car and have people notice you? We are here to tell you how to put a private plate on your car. The private plate on your car represents who you are and we want it to be an easy and fun process to complete. A private plate on your car also represents why you are special. You will stand out and receive everything from second looks to honks and waves. Most people think you have to be rich and famous to have a private plate on your car. But that is not the case. You just have to find the company who can assist you at the lowest cost with the highest quality private plate. You need a company which understands you want something which tells the world this is your car. This is your investment and represents your individuality. There are different styles, costs, and designs to select. The only limit being your imagination and the list of Northern Ireland, England, Wales, and Scotland regulations. One of the things some people overlook is the personalised car plate needs to represent you but it should also match the car. In other words, it might look a bit different to have a private car plate which reads green fiat when you are driving a black estate. Although if you want to world to know your sense of humor, this may be quite funny. The plate size you want. Do you want a regular font or a 3D typeface effect? Do you want a border on your private plate (non-reflective only)? What exact letters and numbers do you want on it? The design, letters, numbers, colours, and fonts have to be legal. The company you give this preliminary information to will make sure it meets all legal mandates. Once all the above is complete, you are able to apply for it through the company's online application process. How Does the Next Step Work? The next step starts with your car's registration. Any retention certificate requested will allow you to be responsible for handling all legal aspects of the transfer. The DVLA will allow you up to 10 years to put your registration on your car. Many times the company handling the personalised car plate will also handle the registration and transfer services. Are Personalised Car Plates Ever Refused? Yes, rejection does occur for some personalised car plates for a variety of reasons. Sometimes it is because there was a rule you were unaware. Sometimes the result of this refusal will be needing to start the process over. Don't lose heart. We are here to let you know about some of those steadfast regulations. Try not to get too fancy with your typefaces. There are strict allowance regulations in place to prevent any deviation from the law. Join the bolts to the plate so the characters and numbers can be clearly seen. There is no alteration allowed on the private car plate, other than what you have ordered and received legally. You cannot use any badges, symbols or anything else which represents your favorite store, political party, sports team, religion, etc. Since these rules and regulations are pretty straightforward, they are usually not difficult to follow. They still allow for great designs, styles, colours that when finished will tell the world all about you. Can I Find Out if my Personalised Plate is Available? Yes, you can find out if the personalised plate you want is already taken and it is a lot easier than you think. All you have to do is go to the DVLA online database to do a search. There are various search engine terms you can query on the DVLA online database. The answers to these queries will let you know if what you want is already taken. The DVLA is good at finding more information about the car you are purchasing. The DVLA is also good for at finding additional information about the car you already own to match your private plate. This allows you to determine if your personalised plate idea fits the car you drive. Is the current tax expired on the vehicle? When was the car first registered? What are its current CO2 emissions? 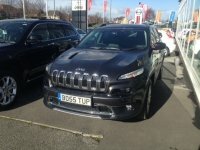 What is the current tax rate on the vehicle? Why Do People Want a Private Car Plate? There are all kinds of psychological reasons people seek their own private car plate. You don't have to be rich and famous to want a private car plate. You don't even have to want to be rich and famous. All you need to want is to have something which represents who you are and your pride in being that person. 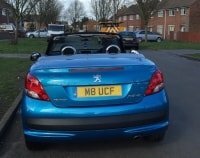 In fact, the BBC recently did a report which stated, private plates are regarded as a statement of individuality or an investment. They also report it really is about being visually pleasing. 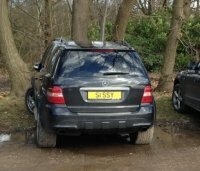 Private plates seem to have caught the nation's psyche. You are not alone in wanting a private car plate number. Many want to join the exclusive club of becoming a personalised car plate owner. We are the best in walking you through the steps of how to put a private plate on your car. We can help you find the personalised car plate which fits not only your car but the aura you wish to exude. We work with you one on one on how to complete the preliminary process. 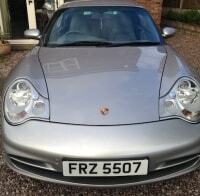 We also work with you one on one with the online application for how to put a private plate on your car. We put a private plate on your car with ease and creativity. We have the answers to the questions you have and what's more, we have answers to questions you didn't even know you needed to know. We will show you why this is a good investment for you, your car and the future. Join the nation and join in on the fun. Call or contact us today!